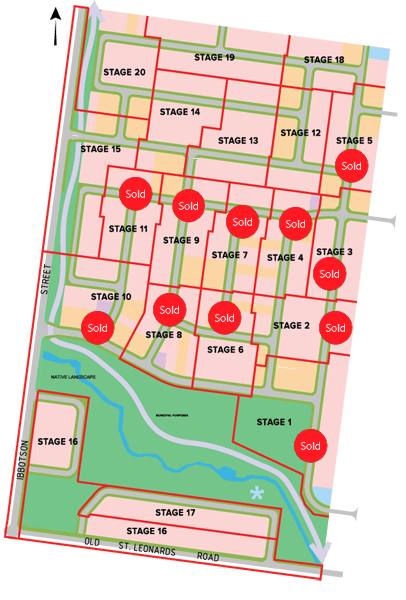 Stages 1 through 12 are sold out! 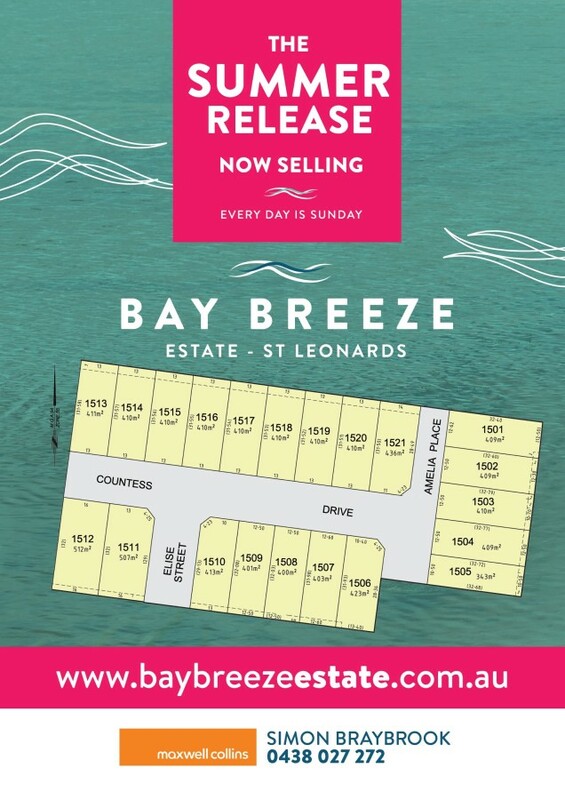 Brand new blocks of land are now available in the beautiful beach town of St Leonards. The estate is close to many amenities, including close proximity to St Leonards schools and sporting facilities. Simply walk to the beach from your new home or head down to St Leonards main street. Travel to Geelong in just 30 minutes or take a trip down the Surf Coast with ease! Find out more about the benefits of living in Bay Breeze Estate on our About page. The Summer Release and The Bay Release are selling now! 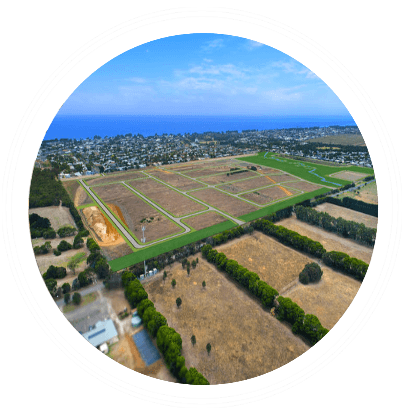 Bay Breeze Estate land is an affordable alternative to city living and close to the Surf Coast. Bay Breeze will be released in a total of 20 Stages and offers level blocks suited for building. A range of land sizes are available to suit your needs. The estate is positioned on the corner of Lake View Crescent and Majestic Way, adjoining the St Leonards Golf Club. 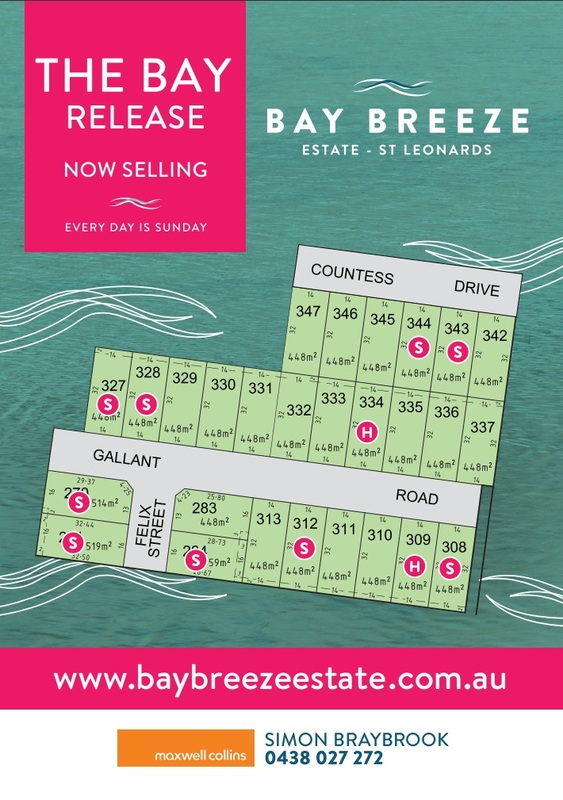 The land sales office is located at Bay Breeze Estate and is available by appointment. Quality local builders are available to design and build your dream home. Check out our builders page for some of the builders who can help with your new Bay Breeze home. Don't miss out on brand new land for sale in St Leonards. Call Simon Braybrook on 0438 027 272 to find out more about the land for sale and the latest stages as they become available. Bay Release delivers 33 residential lots. Summer Release delivers 21 residential lots. 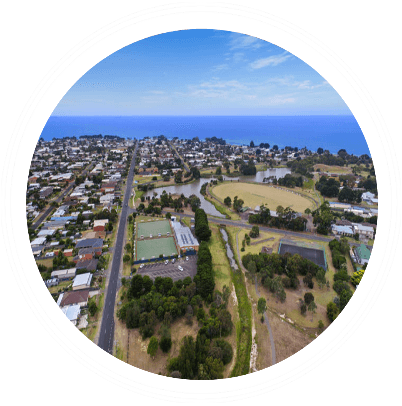 Are you a first home buyer wanting to purchase land for sale in St Leonards? First Home Buyer's grants are now available and are perfect for buying your first home in Bay Breeze Estate. Terms and Conditions apply. Contact us today on 0438 027 272 to find out more. View the First Home Buyer's Grant information. Get in touch with us today to find out the latest regarding available blocks for sale. 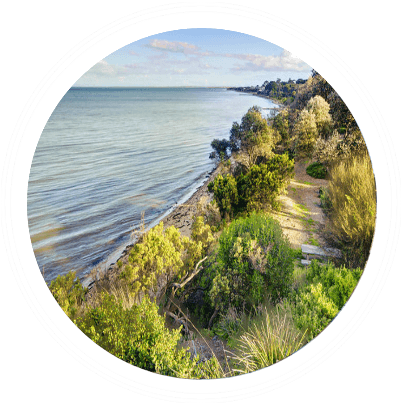 Come be a part of this beautiful beach town development in St Leonards, close to Geelong and the Surf Coast.